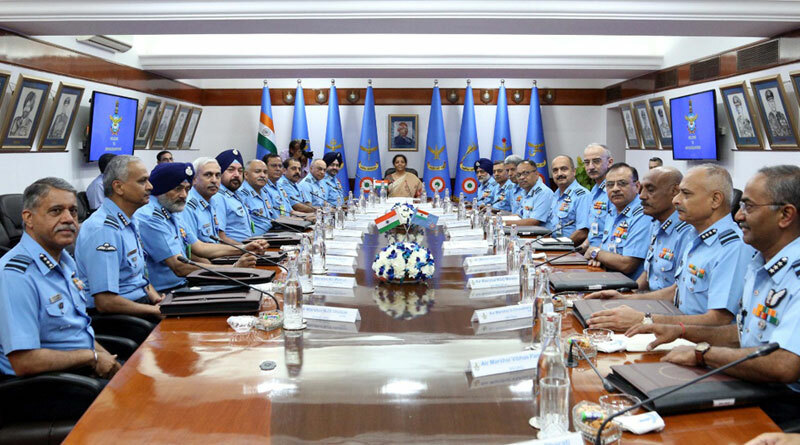 The first bi-annual Commanders’ Conference of IAF for the year 2019 began on April 11 at the Air Headquarters (Vayu Bhawan) in New Delhi. Chief of the Air Staff Air Chief Marshal B. S. Dhanoa, welcomed the Raksha Mantri Nirmala Sitharaman to the conference. The defence minister addressed the Air Force Commanders. She complimented the IAF and its air warriors for achieving and maintaining the highest standards of professionalism in the service of the nation. The minister stressed on a proactive role of the IAF in the Indian Ocean Region and relationships through Military interactions and HADR. She asked the IAF to look at the future with the latest technologies available across the world and those that can be developed within India, in order to meet its needs. Sitharaman added that the IAF will play a vital role in enhancing the defence manufacturing capabilities of the nation through its acquisitions in the form of Strategic Partnership Model. She added that she is aware of the critical requirements projected by the IAF and assured that as a Nation we need to build those capabilities. She said that IAF personnel, serving and retired could contribute immensely in enhancing defence manufacturing and production in India. The defence production industry must utilize these assets to the fullest. She expressed great appreciation for the training imparted to all personnel in the IAF as reflected in the actions and conduct of Wing Commander Abhinandan. During the two-day conference, discussions and deliberations will take place in line with the theme of the conference of ‘Enhancing our operational capability in the short and long term’. 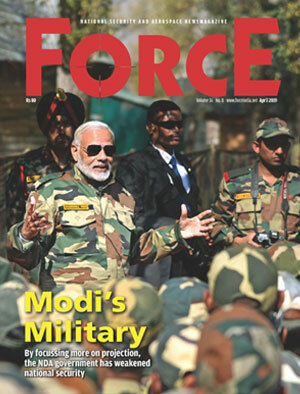 The successful strike over Balakot and air action on 27 February will also be discussed along with the latest technologies in the aviation field to make IAF a more high-tech force.